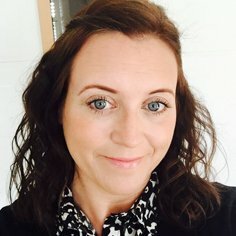 Julie heads up the team at cHRysos HR, with over 20 years' experience in learning and development within the private and public sector. Julie's key strengths are now in the management of the learning and development process and in work-based learning. 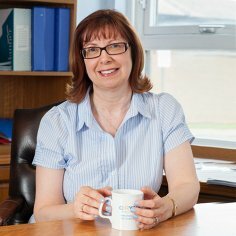 As well as working in industry, Julie has held various academic teaching posts and has published journal papers in the field of learning and development. Sheila has over 25 years HR experience working across both the public and private sector. She has undertaken strategic and senior HR roles within the public sector; specifically linked to HR Consultancy, Pay and Reward strategies, Talent Management and Policy Development. She has extensive experience of working collaboratively with trade unions throughout her public sector career. Before joining cHRysos HR, Sheila worked in Higher Education for 6 years as a tutor, programme leader and most recently Head of a Business School. She has developed and delivered a range of bespoke HR and leadership/management programmes to meet changing business and client needs. A learner-centred and business-focused approach is at the heart of her delivery. Her learning and development experience also incorporates undergraduate, professional and post-graduate accredited programmes. Sheila joined the CIPD in 1996 whilst studying towards her postgraduate diploma in personnel and development and completed a MSc in Strategic HR Management in 2011. She also attained her teaching qualification in lifelong learning in that same year. 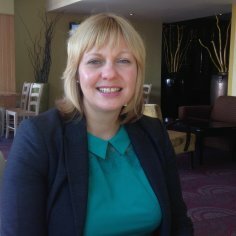 She is a committee member, mentoring coordinator and the treasurer for the CIPD South Yorkshire and District Branch. 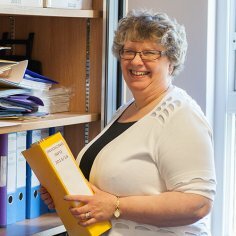 Helen has over 40 years’ experience within the public sector in both national and local government. 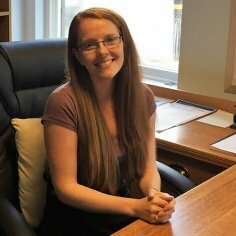 Having come to HR via operational/administrative management before moving into education, Helen has managed HR curricula at university level, being responsible for a number of MSc HRM programmes. 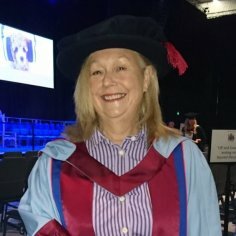 Helen is very proud to hold a Doctorate in Education from the University of Derby, and within the cHRysos HR team her role is one of quality management and ensuring academic rigour. 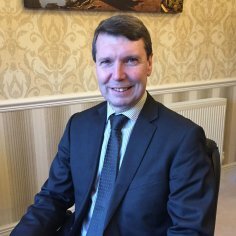 John has been a member of the Institute of Chartered Accountants in England and Wales for over twenty-five years and set up his own successful practice in Retford shortly after qualification. He has been involved with cHRysos HR since its inception and provides accountancy services, payroll processing and tax advice to the company. Janice has been working with cHRysos HR Solutions since 2007. She has more than 35 years’ experience in accounting and office administration and is a Fellow (Founder) member of the Association of Accounting Technicians. With a background working for Local Authorities, Janice has considerable experience of working with small to medium sized private businesses. Sarah is a graduate of Manchester Metropolitan University where she studied Business Administration and now has several years' experience working in office administration for a range of different sized businesses. 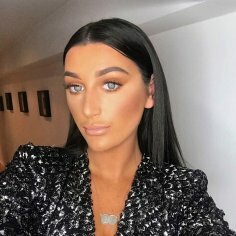 Alicia is our Customer Relations and Marketing Officer, having joined the company in June 2018. Alicia has over five years' experience in customer relations and is helping to develop marketing activities in all areas of the business. 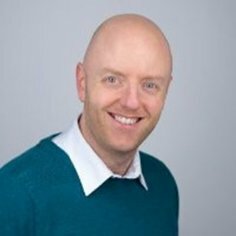 Paul has over 20 years' HR experience in the UK and Europe having started as a trainer and then moving into management. He has 10 years' strategic management experience as Head of Learning and Development, Head of HR Strategy, and Head of HR Operations where he led a team of 110 staff. He has also undertaken work as a government inspector, and worked with the EU and Croatian government on learning and development initiatives. He is now a specialist performance improver, using targeted learning and development, coaching, and workplace mediation interventions, together with a number of psychometric instruments. Paul is a published author, the North Yorkshire CIPD Web Editor and writes regularly in the area of performance improvement. Kate began her career in the field of training within the public sector over 30 years ago, progressing to the retail and clothing industry sectors. She ran her own company, designing and delivering customised training solutions for several major UK organisations including Co-operative Group and Tarmac Construction, as well short courses in the public sector for the Police, local government and several SME's. Kate began college lecturing over 20 years ago, having taught to postgraduate level, with subject specialisms including organisational behaviour, learning and development and performance management. Having begun his career as a secondary school teacher, Gary went on to teach professional qualifications including CIPD, CIH and ILM, for various colleges and other organisations. He has since worked in senior management roles such as HR Director, Group HR & OD Integration Lead and Head of HR & OD for a number of organisations as well as working in HR in further education, call centres, a national charity and an international pharmaceuticals company. 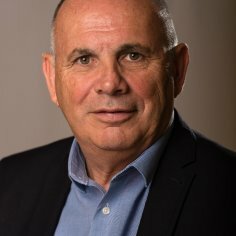 Gary speaks regularly at conferences and events about leadership and HR matters, delivers training, coaching and consulting and is involved in mentoring aspiring housing and HR professionals. Caroline is an experienced HR professional with a passion for the training and development of people to enable personal growth and achievement of business goals. Caroline achieved a First Class Honours Degree in Management from Aston University in 2001, as well as a Post Graduate Diploma in Personnel Management which enabled her to gain Chartered status with the CIPD in 2005. With more than 15 years' experience in generalist HR positions, Caroline has worked operationally as an Advisor and Business Partner across multiple industries such as accountancy, legal, automotive, surveying and technology. Her expertise includes the leadership of major restructuring programmes, the development of successful talent management solutions, facilitating and designing workshops on a range of people management skills, and advising on complex employee relations cases. More recently Caroline has undertaken a Curriculum Lead role for a HR apprenticeship programme, which included the design and delivery of training events and mentoring apprentices during their learner journey. Paul has over 25 years' HR experience holding a variety of positions during a career with Royal Mail and has also worked as an L&D advisor in the not for profit sector with Home Group, a national housing association. Paul has led a number of HR and learning teams and has extensive experience of delivering change, establishing new teams and driving improved performance. He also has hands on experience of planning and implementing several learning initiatives including leadership development, accredited learning programmes and performance management. Paul can deliver group learning events and also promote and support individual development. He has worked on a number of national projects implementing new technology and delivering the learning element for this throughout the organisation. Paul joined the CIPD in 1989 whilst studying at Teesside University business school for a Post Graduate Diploma in Personnel Management. He has since gained valuable experience and personal development as a volunteer with the Citizens Advice Bureau. Jonathan has been working in human resources since the 1990s, with roles in a range of sectors including the NHS, Higher Education, Local Government, the voluntary sector and a Government regulator. He has been involved in the restructuring and transfer of undertaking exercises as well as several substantial pay reform projects, and has experience of running his own pay and reward consultancy. Jonathan's early teaching experience includes helping students through rigorous public examinations and teaching computer scientists at Hewlett Packard, before moving on to a distance learning provider where he tutored the owners and staff of SMEs in Workforce Development and how to create a Micro Learning Organisation, giving them the confidence to study and a sense of achievement after being out of education for a considerable time. During this time has has mastered the use of a Virtual Learning Environment designed to assist communication, share experiences between students and help them learn. Holding a Masters in Human Resource Management from the University of the West of England Jonathan is also a Fellow of the Chartered Institute of Personnel & Development for whom he was a Membership Advisor for several years. Andrea has 20 years’ experience of working within the HR and training sector, undertaking positions in a corporate environment, public sector and within small and medium enterprises (SME’s). She holds a Masters in Human Resource Management, PGCE and counselling qualifications to compliment her CIPD qualifications. Working closely with SME’s, Andrea acts as a practitioner, aiming to support cHRysos HR's clients with pragmatic and business focused guidance, and in addition, tutors on the HR programmes at universities within the Lincolnshire & Yorkshire area. Angela has over 20 years’ experience in Human Resource Management operating at a senior level in both public and private sector organisations with a track record of delivering major change projects. She is a strategic thinker, experienced in developing and implementing strategy and policy whilst keeping the individual at the heart of her thinking, helping individuals to develop and reach their full potential. She has a deep understanding of how organisations work and how individuals function in the workplace and has worked with organisations to create the right environment and culture to enable individuals to grow and perform to the best of their ability. Angela has experience of running an HR consultancy providing support and advice to organisations both large and small. 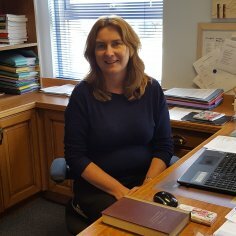 She lectures on Chartered Institute of Personnel Management qualifications and has an up to date knowledge of employment law and current best practice. She writes for the CIPD's HR Inform site, is chair of the Coventry and Warwickshire Branch of the CIPD and is actively involved both regionally and nationally. 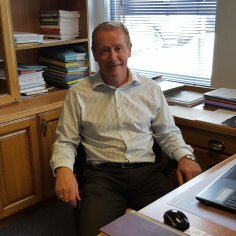 Peter has extensive experience, with over 20 years' working at a strategic level within the education sector, with specific responsibility for the design, delivery and commissioning of all professional development programmes within a single education authority. His experience includes being a headteacher and working in school leadership development, performance management, talent management, succession planning and NVQ centre management. 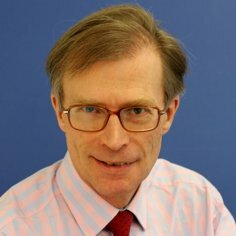 Peter also supports organisational development and change management strategies as a national consultant. Cath is an experienced training and organisational development coach with more than 20 years' experience across all sectors but particularly working at a senior level within the public sector and higher education. Having first qualified with the Institute of Personnel and Development in 1991, Cath has since gone on to specialise specifically in leadership, team and personal development.